Why am I sharing this beignet recipe? Well, several years ago, we were sent a copy of Disney's Princess and the Frog to watch. I enjoyed the animation, Randy Newman’s music, and references to the culture and food of New Orleans – especially the beignets! My daughter Lucie loved Tiana, the princess story, and funny characters like Louis the trumpet playing gator. What child wouldn't? We both loved how Tiana’s dream was about cooking, her special beignets recipe, and her dream of opening up a restaurant. So fun! Not since Ratatouille, has a Disney movie appealed to the cook in me. Bring on Tiana’s famous beignet recipe! 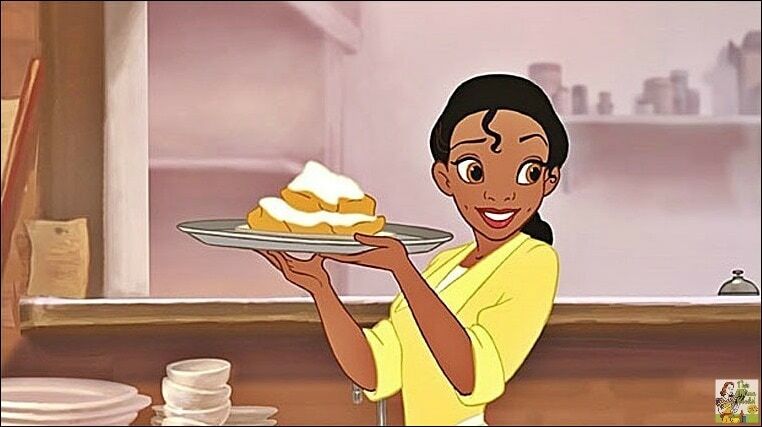 One of Tiana’s specialties is her beignets recipe. Beignets are popularly served in New Orleans at breakfast or as a snack with powdered sugar on top. Beignet recipes were brought to New Orleans in the 18th century by French colonists and became a large part of Cajun or Creole cooking. 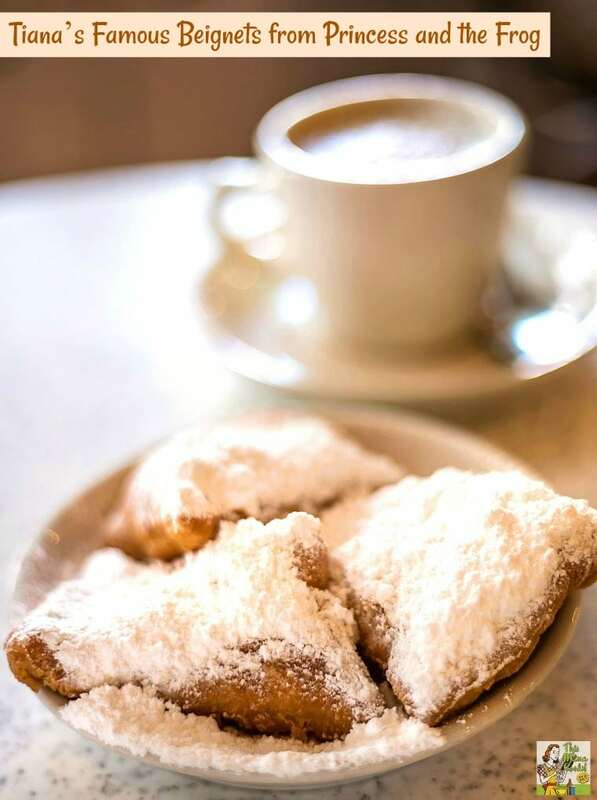 If you go to New Orleans, you must go to Café du Monde to try their famous beignets with powdered sugar and a cup of their chicory coffee served café au lait style. In fact, beignets are so popular in Louisiana, that they were made the official state donut! I also recommend the beignets at Disneyland at the Mint Julep Bar, too. Best snack in the park! Try this beignets recipe and watch Princess and the Frog! With Mardi Gras coming up, why not watch Disney's Princess and the Frog via streaming rental on Amazon? If you hurry, you can order a used copy of the companion cookbook, The Princess and the Frog: Tiana’s Cookbook. It contains Tiana’s recipe for New Orleans beignets and other fun recipes like Swamp-Water Smoothies and Banana French Toast. If you and your children love cooking Disney inspired recipes, check out The Disney Princess Cookbook. It features a The Princess and the Frog inspired recipe for Tiana’s Baked Caramel French Toast! Since beignets are hard to find unless you have a Cajun-style restaurant in your town, you may want to try making beignets at home – and Mardi Gras is just the time to do it. After enjoying your homemade beignets, put on some Louis Armstrong New Orleans style music and dance around with the kids to work off those calories! 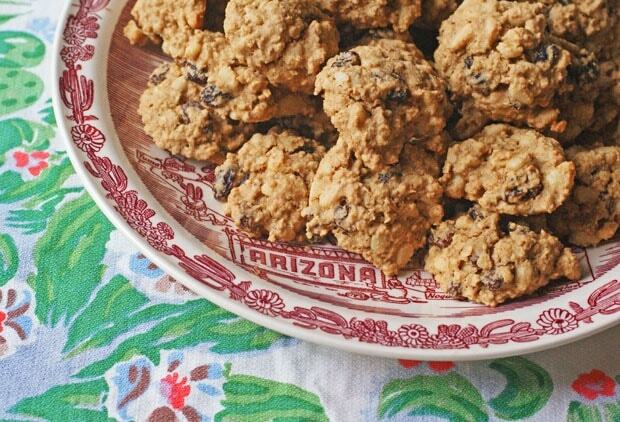 In a medium bowl, combine 2 3/4 cups of the flour with the sugar, baking powder, baking soda, salt, and nutmeg. Whisk everything together. In a large bowl, whisk together the buttermilk, water, egg, and vanilla extract. Stir in the flour mixture from Step 1. Use some of the remaining flour to dust your work surface. Place the dough on it and pat it into a large 1/2 -inch-thick square. Dust the top with more flour if it gets sticky. Next, slice the dough into 2 1/2 -inch squares. Now it’s time to fry the beignets—be sure to ask an adult to help you! Heat 2 inches of vegetable oil in a heavy saucepan on the stove top until the temperature reaches 325° on a deep fat thermometer. Check the temperature with a cooking thermometer every so often while cooking. If it gets too hot, temporarily turn the heat down, or off. Carefully drop 3 dough squares at a time into the hot oil. Fry them for 3 minutes, turn them over, and continue frying for 3 more minutes. Use a slotted spoon to transfer the beignets to a wire rack set atop paper towels to drain. Dust the beignets with confectioners’ sugar, and enjoy! Recipe and pictures used with permission from Disney. Originally published on March 26, 2010. Updated with new pictures. Posted in Breakfast, Cookbooks, Desserts, Movies, Recipes and tagged Mardi Gras on February 3, 2016 by Anne-Marie Nichols. I just made these tonight in a practice for my daughter’s Disney themed bridal shower. They are delicious but I’m not sure 2 3/4 cup flour is enough. They were awful sticky and I had to add a lot of flour to my work space. More than a dusting. Any ideas why my dough was so sticky? I want to try and make these only with chocolate inside and I believe in the movie she first drizzled on some honey then covered it with the powered sugar. I just watched the movie that’s why I’m pointing this out. Can’t wait to get the stuff to make this haven’t baked in a good minute. I’ll make this regular one too. It’s been awhile since I’ve watched the movie so I’ll have to rewatch it to see if she used honey. Usually honey isn’t put on beignets, so I wonder why they’d do that in the movie? My children did not like these at all. They are very bland, even with the powdered sugar. I’m sorry your girls didn’t like them. Did you leave out the sugar that’s in the batter? Beignets taste very much like doughnuts, so I’m surprised by your comment, Margaret. I just thought I must share, that I was looking for this recipe for my LUCIE!!!! I have a LUCIE that love Tiana, and when I saw that you made this for you LuciE I knew it must be the one!!!! I think that you meant 3/4 not 23/4 cup I just thought you might want to know that I would. This looks yummy. Feeding Nine on Dime, it’s 2 and 3/4 cups of flour. There just needed to be a space there. Thanks for finding that typo! nephews weren’t too impressed. See you soon! My son and I loved Princess in the Frog at the Theater! Had to buy it 🙂 I need to check out the cookbook, I had not heard of it! Can’t wait to meet you soon at Camp Blogaway! tempted to get it for MYSELF for Mother’s Day.